Chucky, whose every still is terrifying. Being one of the biggest directors ever brings with it a lot of power. There are a lot of ways to use that power. Fortunately, Steven Spielberg has opted to use that power to help good actors get good roles and, apparently, save cult classic film franchises. That story comes from Bloody Disgusting, sharing a fun anecdote from David Kirschner, one of the two creators of the Child’s Play series, notoriously for its B-movie style and its creepy villain/protagonist Chucky. So, after the first movie did rather well, a second Child’s Play was ordered—only for Kirschner to get a nightmare call from Richard Burger, the head of MGM and United Artists, who had distributed the first film. “There’s a guy by the name of Christopher Skase at Quintex, they’re buying the company and don’t want to make horror movies,’ he said. I was enraged,” relates Kirschner. After that, all chaos broke loose, with multiple studios interested in the series, its direction and future on the line. “One of those calls was from Steven Spielberg himself,” said Kirschner. 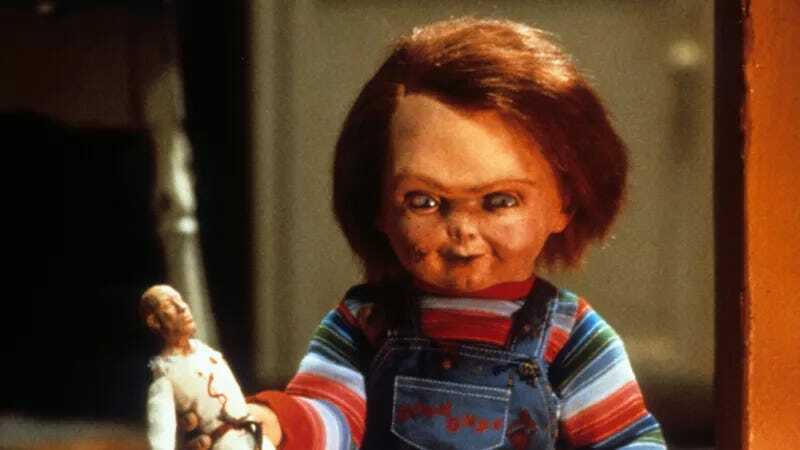 And that relationship has paid off—leading to six sequels and an upcoming television show, with creators Don Mancini and David Kirschner still involved. Sure, Child’s Play might’ve found a home at another studio, but the shape it is now, according to Kirschner, owes quite a bit to Steven Spielberg. Scary dolls all over the world thank him for his service. Did real people inspire these famous fictional monsters?